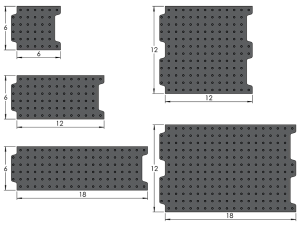 Interlocking CMM Fixture Plates – 13mm thick, M6 thread, 20 x 20mm hole pattern. 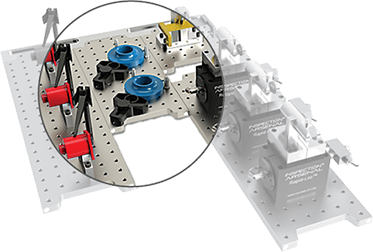 Fast-swap, interlocking Loc-N-Load™ METRIC CMM fixture plates secure and release quickly for repeatable setups with the use of magnets. Inspectors can program several small setups, multi-part fixtures, or add large parts that span multiple plates. 13mm thick, M6 thread, 20 x 20mm hole pattern; available in various sizes with custom sizes available upon request. To add to your order, see Docking Rails and Accessory Plates.